Going from concept to production is made easier with prototyping. Prototyping allows you to experiment with different models and ideas without the cost of manufacturing. Our printers use a varitety of thermoplastics including PLA (corn based plastic), ABS plastic (the same stuff Lego is made of), PET and PETG making it suitable for various product ideas, from items small enough to be measured in millimeters to large items with up to 1-foot dimensions. And if you need precision, our prints are accurate down to .2mm. One of the most important elements of prototyping is to make sure you are working with an expert who can listen to your ideas and have the skill to create your model. We have years of traditional design experience and can quickly turn your idea into a tangible object you can hold in your hand. First, we start with a sketch of your idea. This will help us understand your use-case and application. Next, we take the sketch and re-create it in 3D using various 3D design and CAD software programs. Once we’re happy with the design, we’ll share with you a digital-proof of the 3D art for your approval. 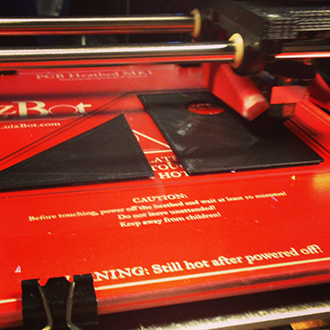 After the design is approved, we carefully prepare your model for printing. During printing we repeatedly monitor the machine to identify any problems that may develop, to save time and money. Once the print is finished, we can do a number of finishing processes, including sanding, filing, gluing, smoothing, and painting. Now that you have your model in your hands, you can test it in real world conditions. Got changes? We can make them to the 3D file and print a new model – usually within hours! We can offer design only services where you don't need a physical 3D print but might need 3D renderings for a presentation or website. We also can just print your existing files that we did not design. Drop us an email and let us know how we can help. 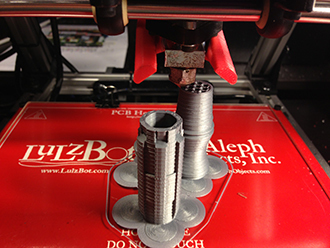 We can help with any and all aspects of 3D Design or 3D Printing. $25 fee for prepping a provided file. Additional fees may be requred to make sure it's a printable file. $15-30/hr for ABS, PLA, PETG Plastic 3D printing. Printing in other materials available, but prices vary. After a printable file is approved we can provide an accurate printing quote. Typically we could ask for a retainer to start a bigger project that would cover the design and at least one sample print. 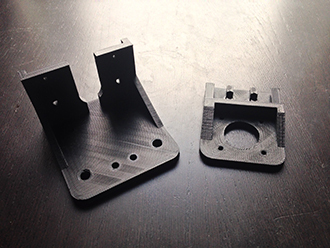 Save time and money and take advantage of our rapid prototyping services now! Have dreams of your own? © Copyright 2019 by Tangible Labs. Made by MityMo.